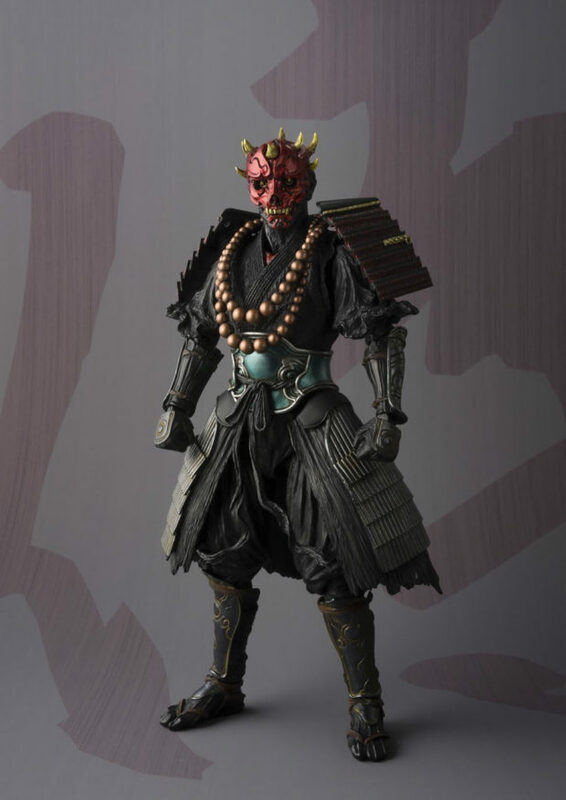 Bandai is releasing three new Movie Realization Star Wars action figures to ride on the series’ annual holiday takeover. 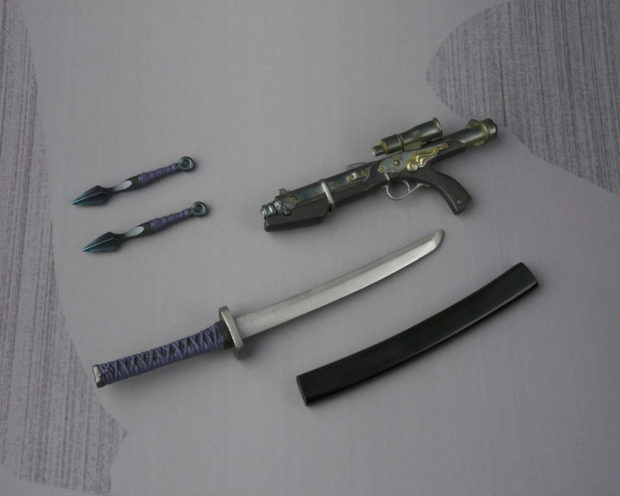 But like the previous releases in this line, they’re all more than badass enough to generate their own hype. 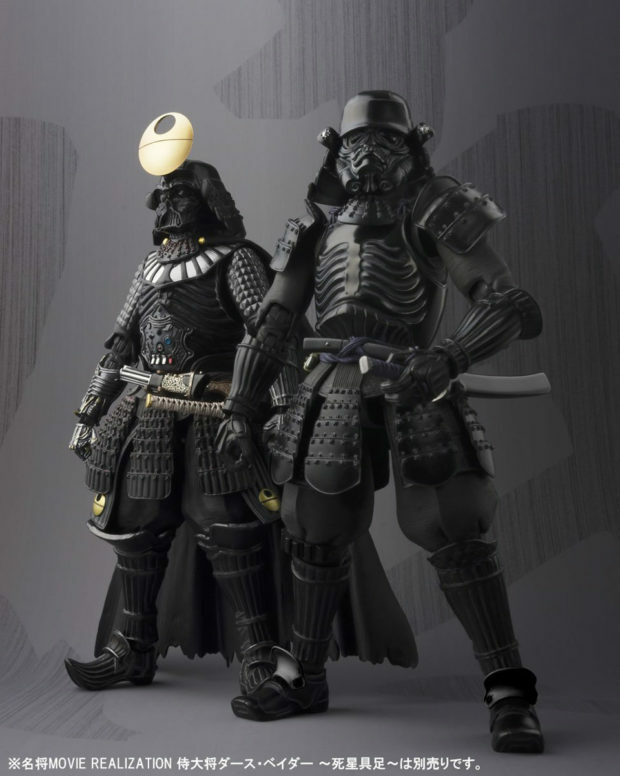 They’re all up for pre-order on BigBadToyStore for $85-$90 (USD) each. 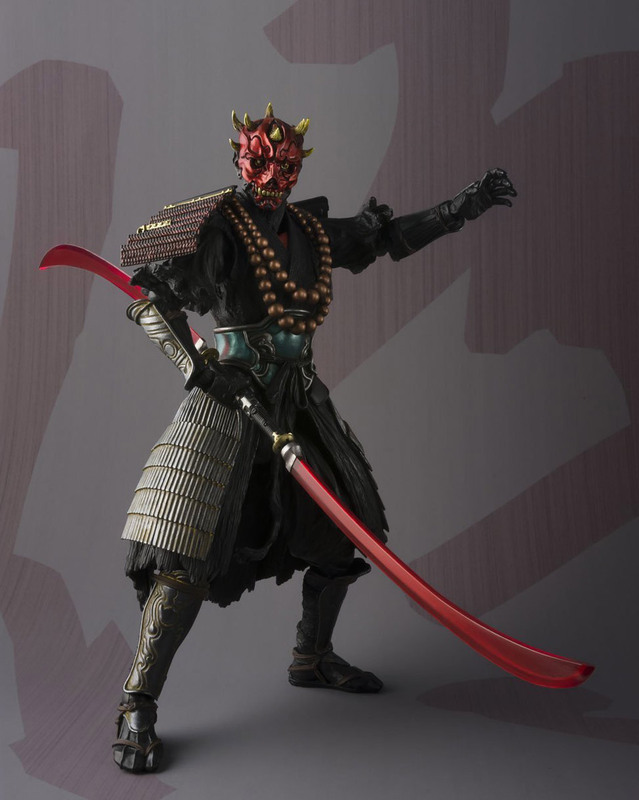 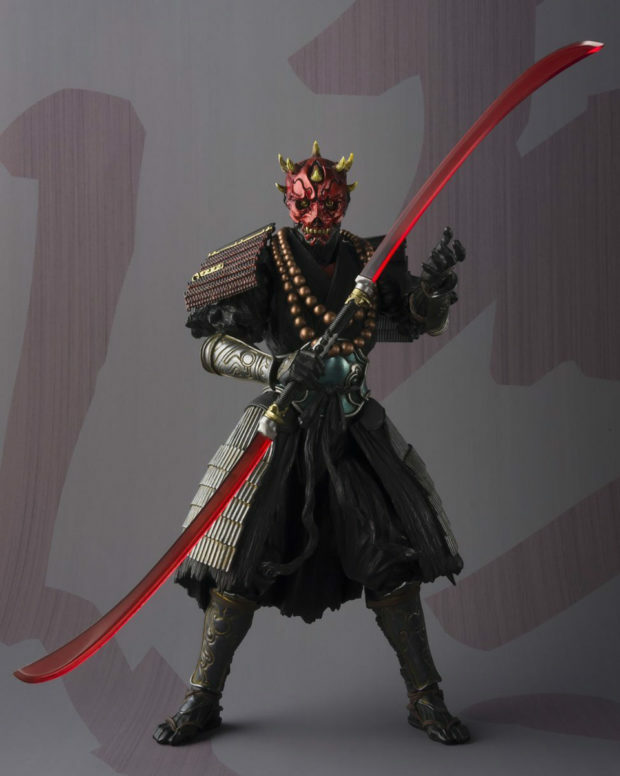 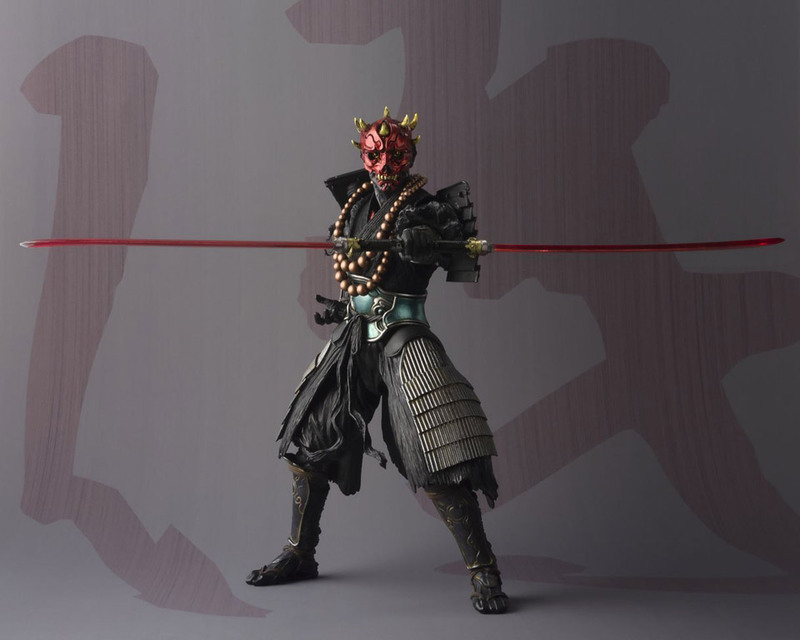 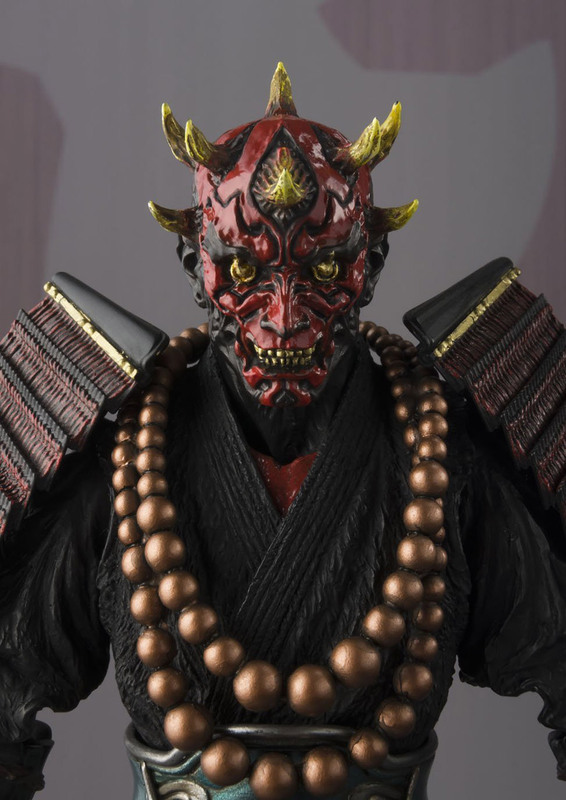 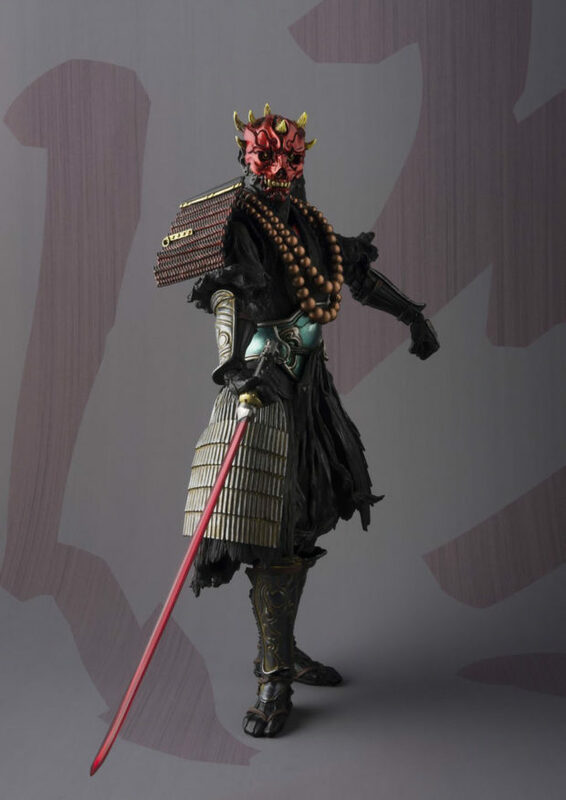 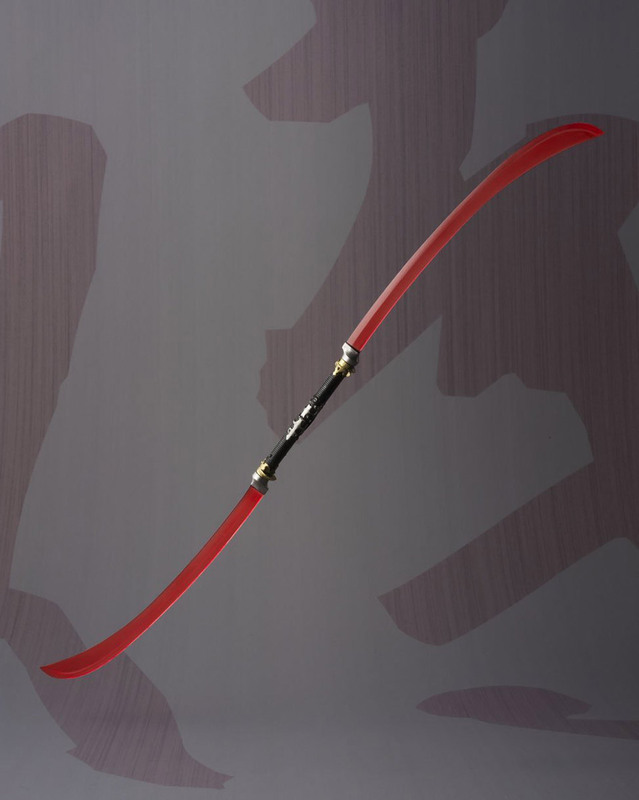 First up we’ve got Sohei Darth Maul, sohei meaning “monk.” His twin-bladed lightsaber has been turned into two halberds that can be connected as one weapon. You also get four pairs of hands to hold the halberds in various poses. 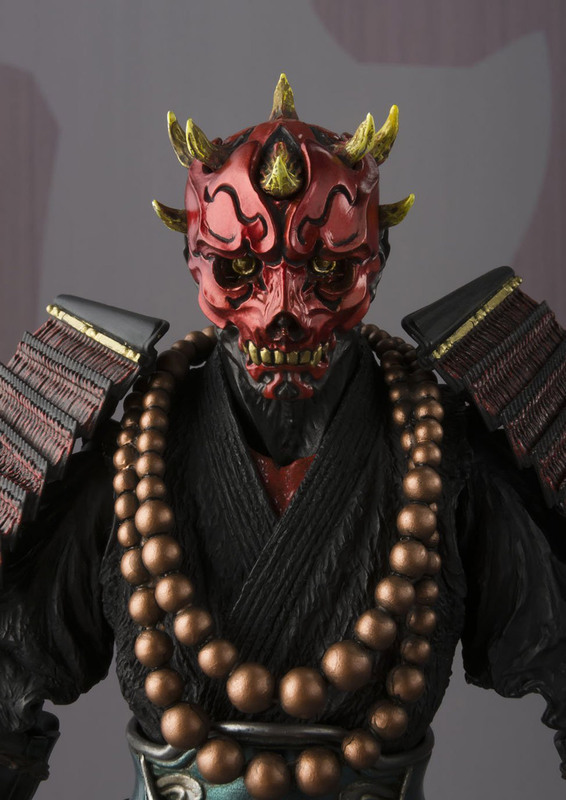 The funny thing about this figure is that it comes with a demon mask, which you can remove to see… Darth Maul’s demonic face. 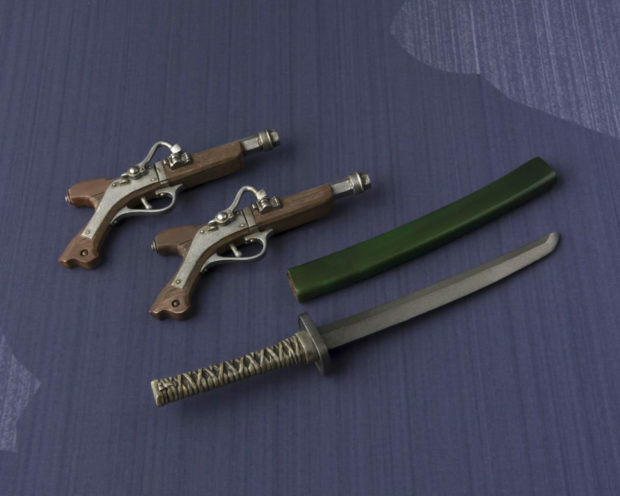 Pick your poison. 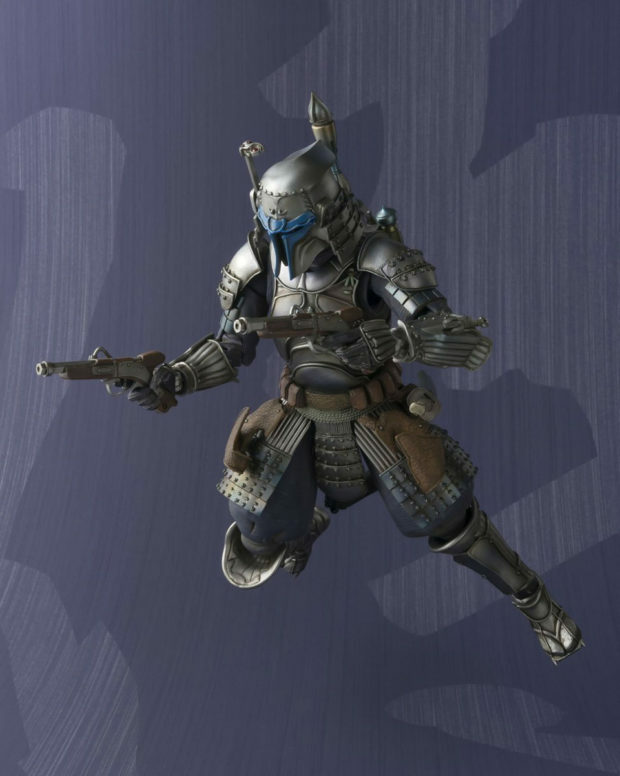 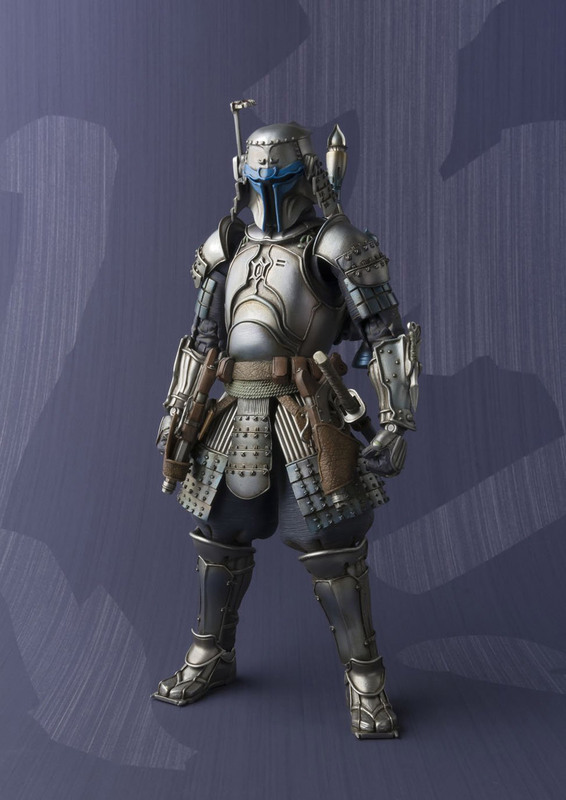 Next we’ve got Ronin Jango Fett. 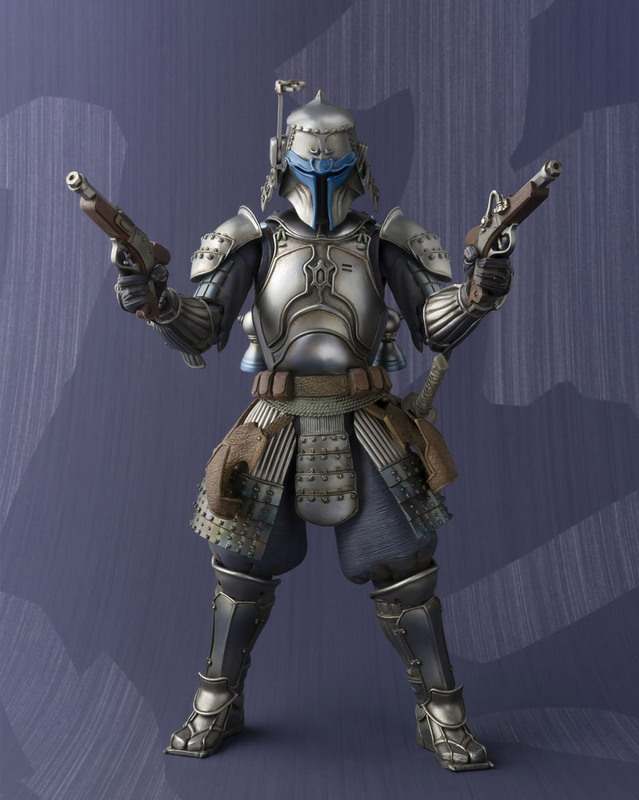 Predictably, it shares a lot of parts with the Ronin Boba Fett action figure, particularly their armor. But its paint and accessories are enough to make this more than just a palette swap. 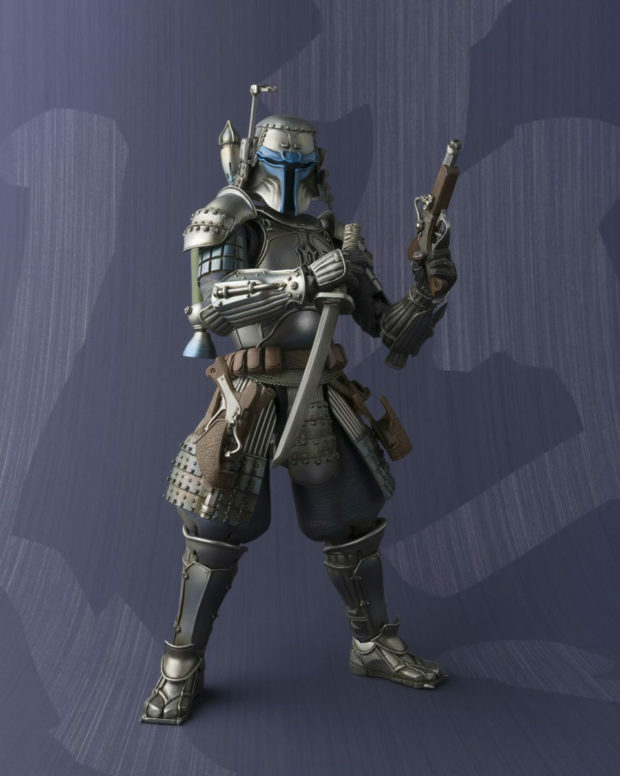 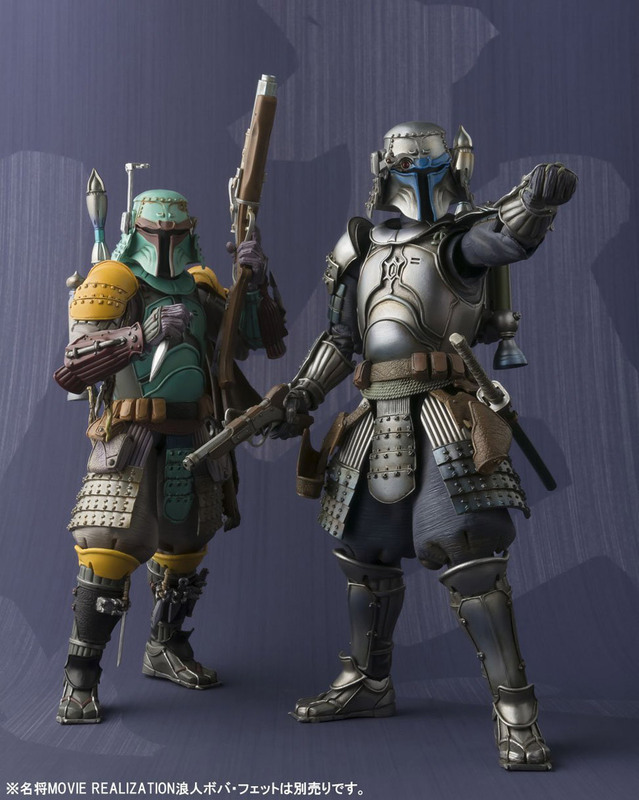 For instance, while Boba comes with several blades, Jango has two pistols that he can dual-wield or put on the holsters on his waist. 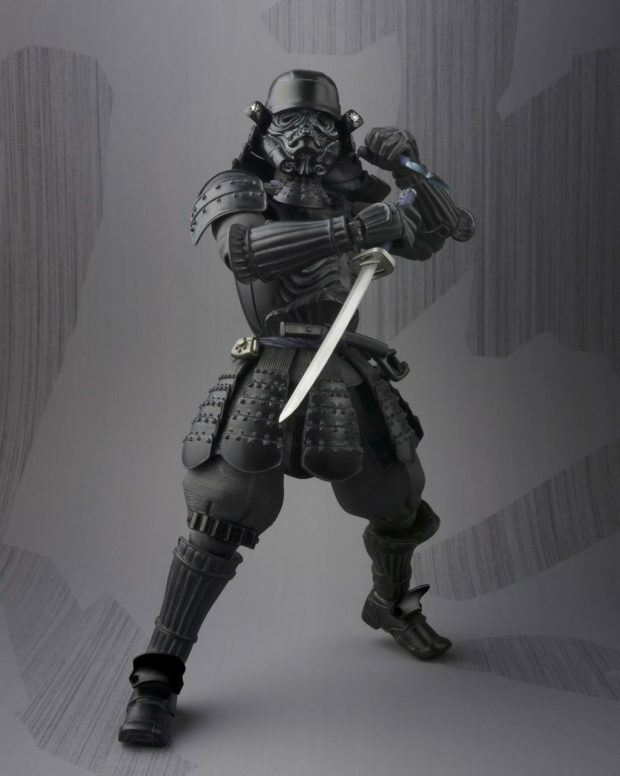 The figure also comes with a sword, a sheath and eight pairs of hands. 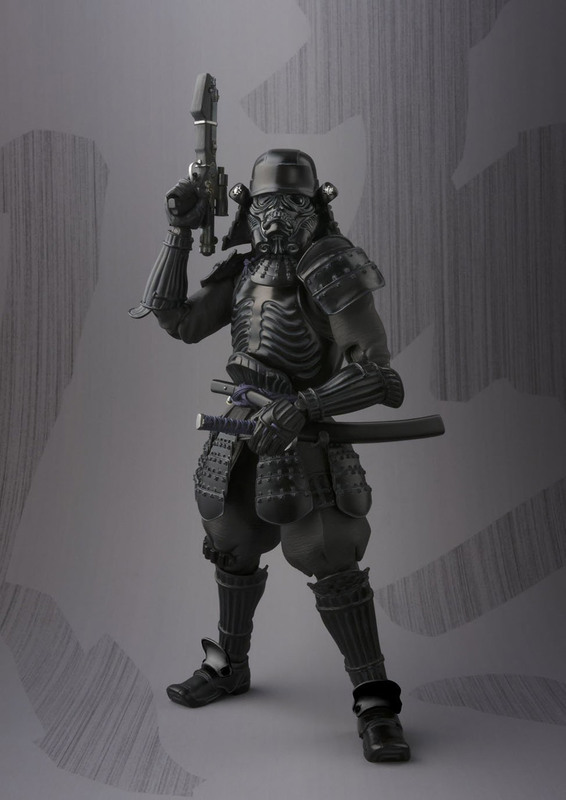 Finally there’s the Onmitsu Shadowtrooper, “onmitsu” being an old Japanese term for a spy or a undercover detective. 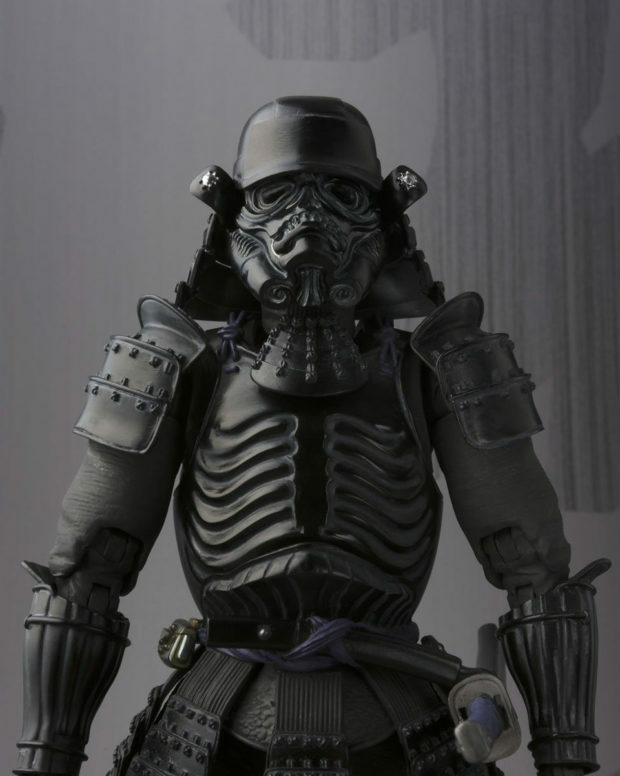 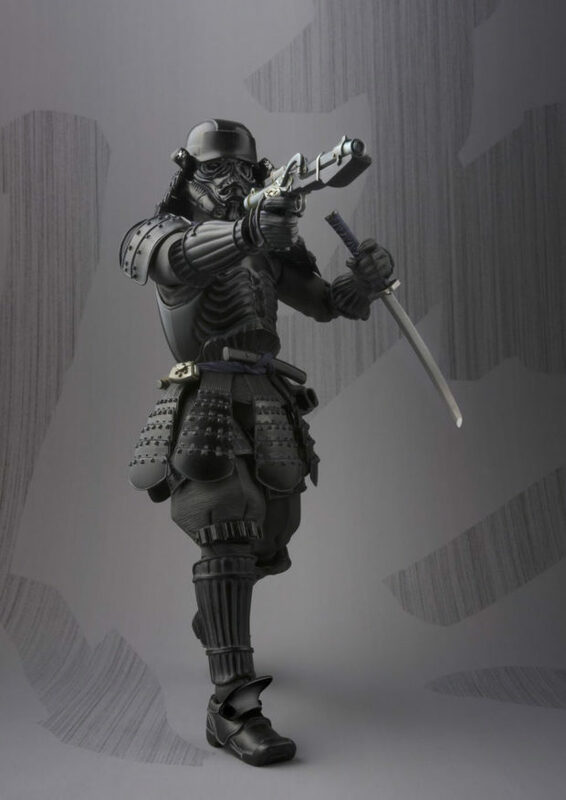 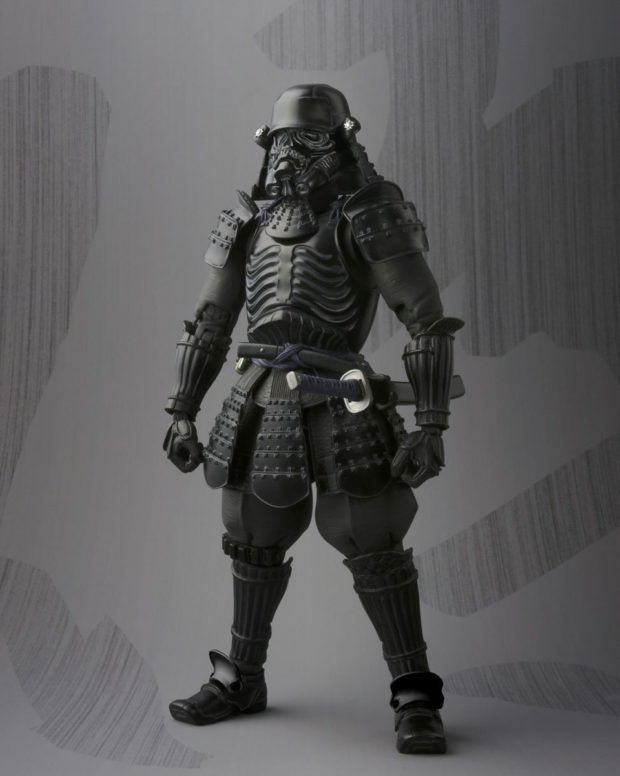 The Shadowtrooper’s armor is a mix between the ones worn by the earlier Movie Realization troopers and the Samurai General Darth Vader. 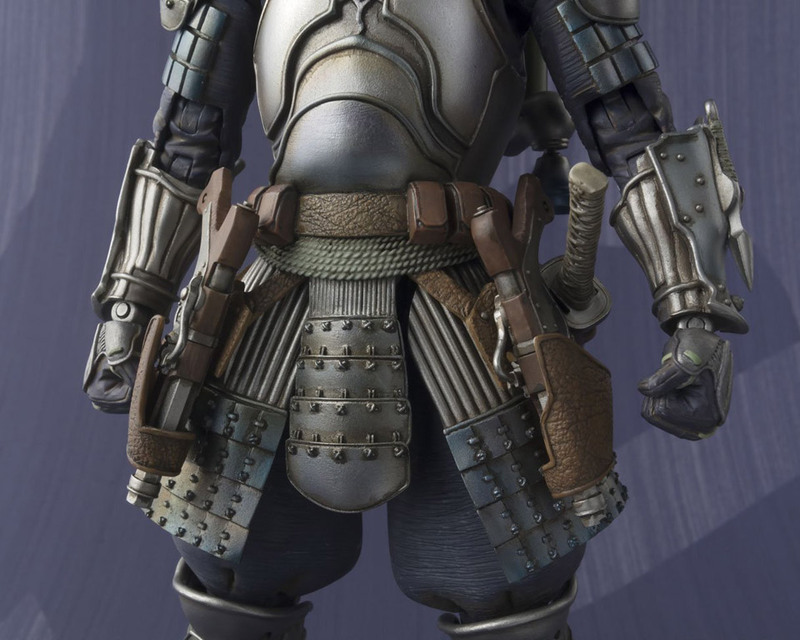 It’s a cool touch that indicates this soldier’s rank. 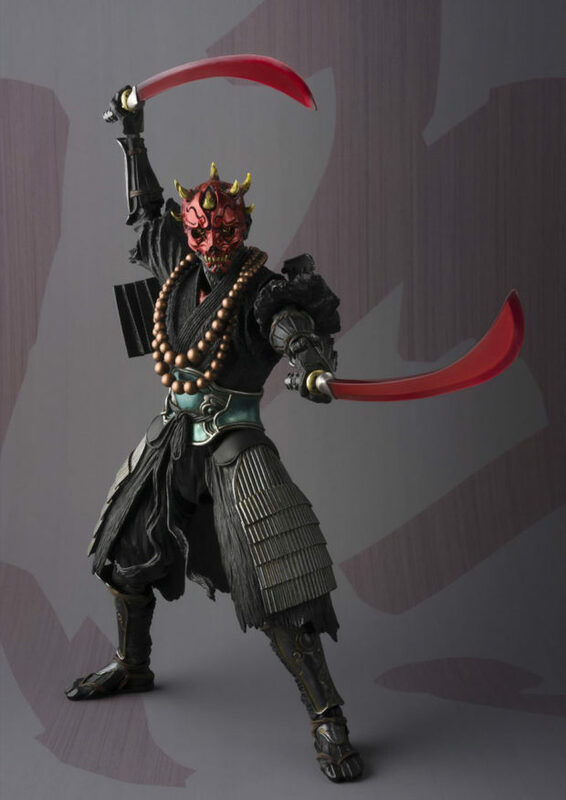 The figure comes with a sword, a sheath, a blaster, two kunai and eight hands.